That's a big ocean. To swim across it and still retain these radionuclides is pretty amazing. 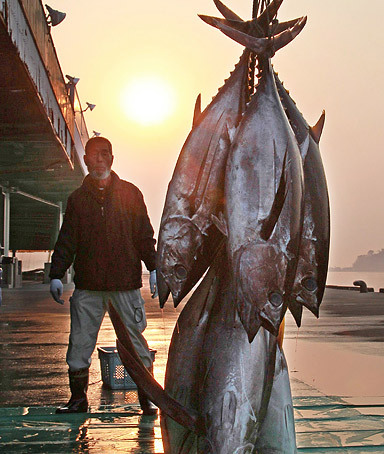 expert at Stony Brook University in New York who took part in a study which found that bluefin tuna contaminated with radiation believed to be from Fukushima Daiichi were present off the coast of California just five months after the nuclear meltdown.